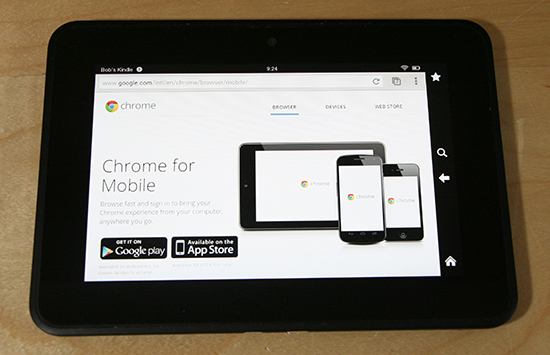 Download and install Chrome browser on kindle fire hd , kindle fire hdx 8.9 or for kindle paperwhite. Chrome is overall a little better and smoother to use as compare to kindle silk browser. You can speed up slik browser but Chrome on kindle is just awesome. The gesture system on Chrome for navigating also makes more sense on kindle than it does on smaller phones. There are simple two method for this. Second method is more simple and direct. Once the file is finished downloading (you can check the notifications to see when the download is done by sliding down the top menu) you need to run it. This tutorial require you to download the Chrome apk. We have shared the link with you.